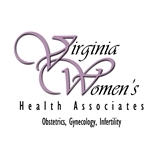 Virginia Women's Health Associates (Reston) - Book Appointment Online! We are women passionate about celebrating health and respecting life through state-of-the-art technology, compassionate individualized care and and honoring the values that matter most to you. We place major emphasis on preventative health care and the importance of fully understanding all available care options. Our dedicated female physicians and clinicians are committed to supporting you with the highest quality of comprehensive obstetrical and gynecologic care available in Northern Virginia.